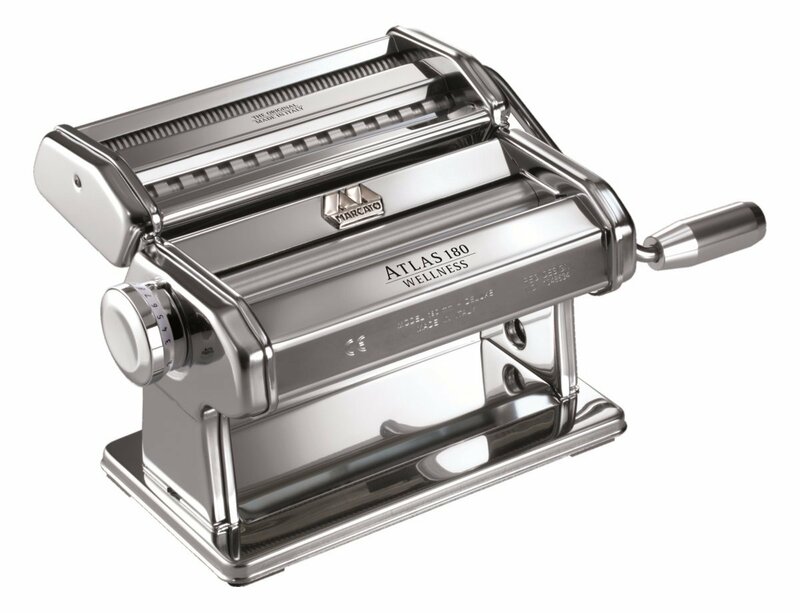 The whole Marcato range of pasta makers uses the new Wellness rollers: they are made in a special light alloy, a Marcato EXCLUSIVE PATENT that ensures your homemade pastry is 100% wholesome. WELLNESS that is no residue on the pastry, no oxidation or change when coming into contact with water, extremely easy to clean. 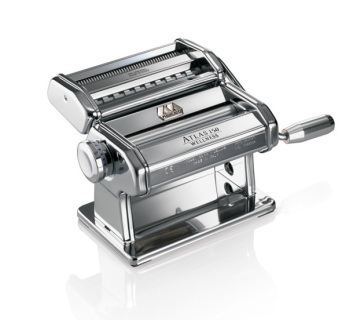 Atlas 180 is the traditional chrome-plated machine for making home-made pasta. With its simple and elegant shape, it is without a doubt the most versatile of all the manual pasta machines. 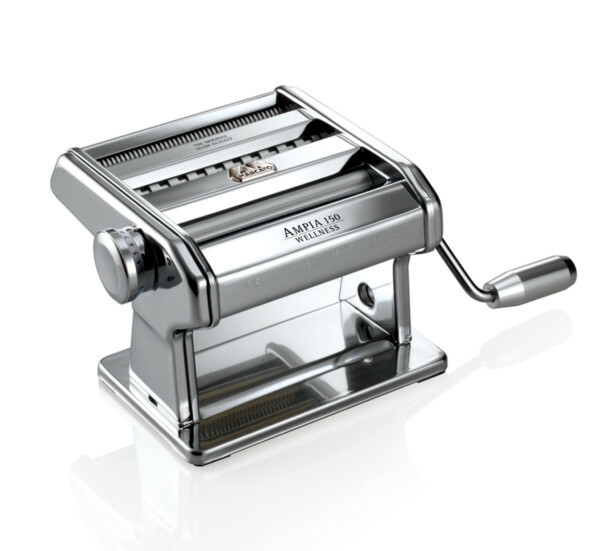 Pastadrive is the motor that is applied to the pasta machines in the Ampia and Atlas lines to streamline and make your work easier. 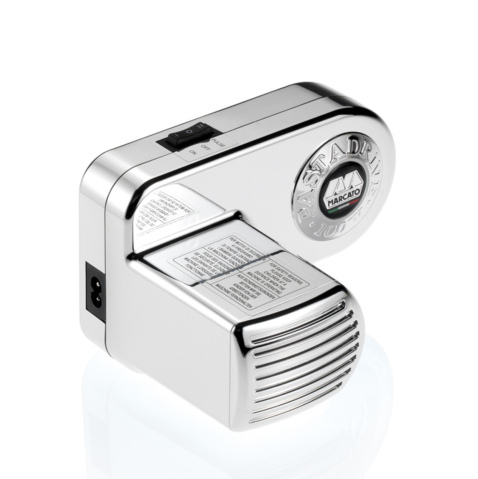 It is a strong and sturdy product, designed with a bayonet fitting for very intuitive installation, which ensures stable operation (it does not require any supporting bracket). 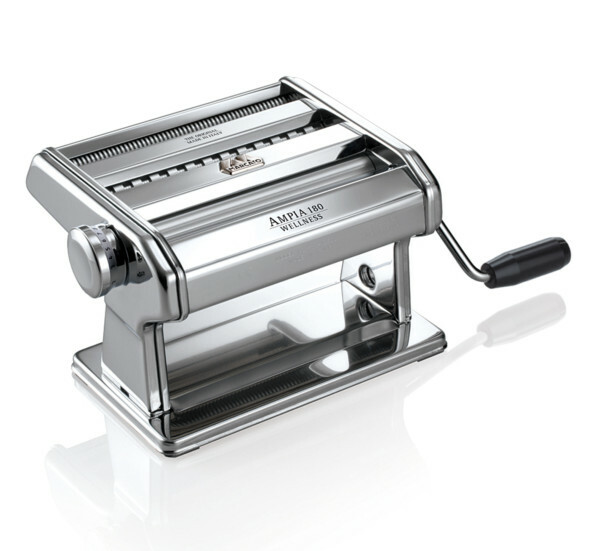 In just three simple steps you attach and secure the Pastadrive motor to the pasta machine.